Home » Related Topics » Women and Drugs » Pregnant? Concerned About Opioid Use? Caring for the well-being of our children is our traditional way. Using opioids (e.g., prescription pain pills, heroin, fentanyl) without a medical provider’s guidance during pregnancy can have devastating effects on the baby. Learn of ways to have a safe and healthy baby. 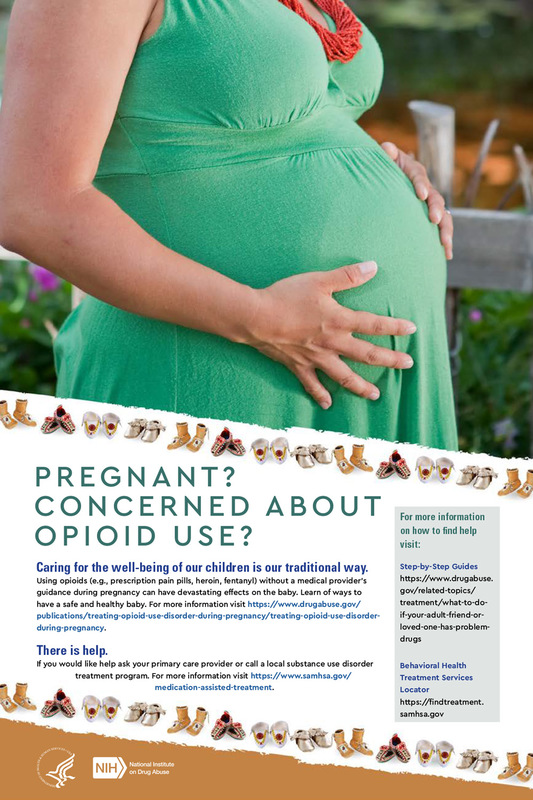 For more information please see - Treating Opioid Use Disorder During Pregnancy (Policy Brief). There is help. If you would like help ask your primary care provider or call a local substance use disorder treatment program. For more information please see - Medication-Assisted Treatment (MAT) (SAMHSA).